It strikes me as the height of irony that the Olympics are all about competing to be your best yet NBC’s coverage of the event is a monopoly that has allowed it to be its worst. I thought this on Friday night as I sat watching the opening ceremonies “live” from London, a full half day after they happened –- which as it turned out was as quickly as any human being in Los Angeles (except those who work at NBC) could get them. The real Queen of England and the real actor playing James Bond exchanging pleasantries in Buckingham Palace, followed by their (presumed?) stunt doubles jumping out of a helicopter into Olympic stadium. A floorshow featuring an odd pastiche of agrarian, industrialized and social media-ized Great Britain over the course of several centuries, interspersed with very brief verbal recitations by Kenneth Branagh and J.K. Rowling while hundreds of extras danced in period costumes to the point of distraction. And a finale of Paul McCartney singing a slightly off tune “Hey Jude” (why that of all his songs?) that made one wonder WWJLD (What would John Lennon Do?). In answer to the latter I say something welcomingly naughty, but one can only IMAGINE on that score. Call me crazy ( or even “maybe” since its Olympic-related) but all this activity made me rethink if being a little desperate and hungry is a good thing (as opposed to starvation and “The Hunger Games”), and if perhaps a few rounds of good old, level-playing field, REAL competition in the world might not just be the better answer for at least some of the things that ail us. These thoughts surprise me since I’m not much into sports and certainly don’t think unfettered, free-market capitalism is the answer to anything but 21st century greed. Still, you have to wonder when a corporation like NBC is able to shell out $4.38 billion (yes, that’s a B!) in order to hold you captive to its whims, ratings or otherwise. One could argue that for billions of dollars a corporation (who the US Supreme Court recently ruled is indeed human) has earned/bought the prerogative to do exactly as it pleases and, legally, one could argue that one is right. Except – if you toss out legalities and use common sense – is it??? And is it wise for us? The Olympics are about excellence, humanity (the non-corporate kind) and grit. Yeah, there’s money and sponsorship and opportunity thrown into the mix but, when it comes down to it, you can’t prevent a superior athlete from a war-torn country from decimating another from a large, rich industrialized nation and thus prove his or her superiority for all the world to see. In other words, at the end of the day it’s not about how much money you have but how good you are at what you do. This is not the case for cash rich NBC or for the rest of us who choose to watch the show and, as fans, expect to at the very least see the real version of a live event we elected to watch. 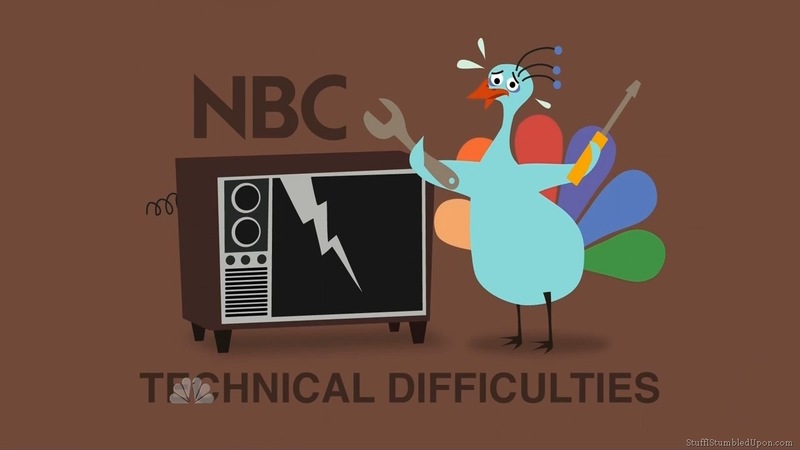 Despite Twitter, You Tube, Facebook and other streaming technology, NBC has figured out a way to block almost all immediacy of every match up and thus render its billion-dollar coverage pretty lackluster for world-wise consumers. Yes, there is online streaming of each event but only if you are in front of your computer at the precise moment NBC’s cameras happen to be there in London time. Otherwise, for the competitions geared to primetime (meaning all the ones you really want to watch), you have to wait 9-12 hours in order to raise NBC’s prime time ratings. True, you can watch it some 9-12 hours later on your tv/tablet in high resolution and technically feel as if you’re there, both out front and backstage. But that’s only technically – meaning high def, clear as glass pixel images. What you might consider the best parts of the event STILL get cut or filtered by correspondents who you’d rather see serve as the actual bullseye in Olympic archery than pose as experts asking the questions you might never ask if given the opportunity to have been there live yourself half a day before. 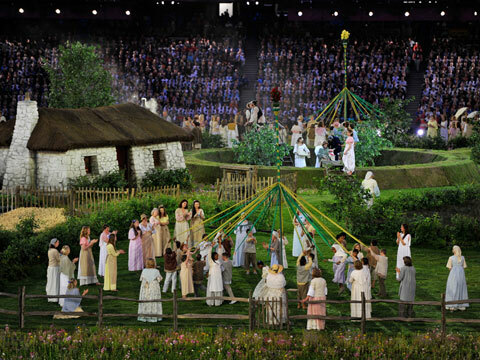 For example, in its infinite wisdom, NBC chose to excise what was arguably one of the most emotionally moving segments of the opening ceremony – a haunting tribute to victims of the 2005 (7/7) terrorist bombings in London which occurred just a day after the city was chosen to broadcast this Olympics. Instead, NBC decided American audiences couldn’t relate to worldwide terrorism and chose to run an interview by its new resident haircut Ryan Seacrest (who Deadline Hollywood’s Nikke Finke recently dubbed the “Viscount of Vapidity”) with uber Olympian Michael Phelps that could have won Olympic gold itself were they giving out medals in television blandness. Am I sounding bitter and petty? Then don’t take my word for it – judge for yourself. 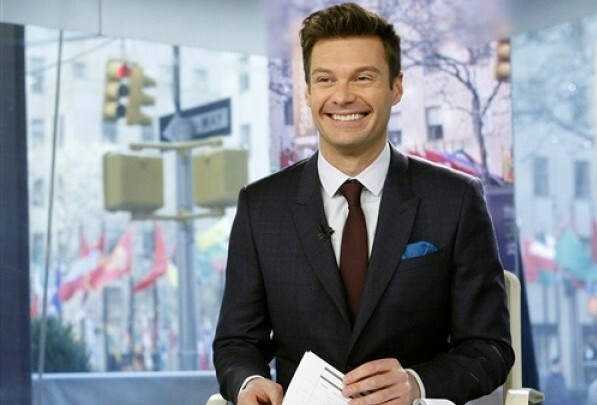 Seacrest is an apt target of derision not because he’s uber successful and wealthy but because he is so clearly devoid of anything related to what the Olympics is really about – namely excellence and grit. 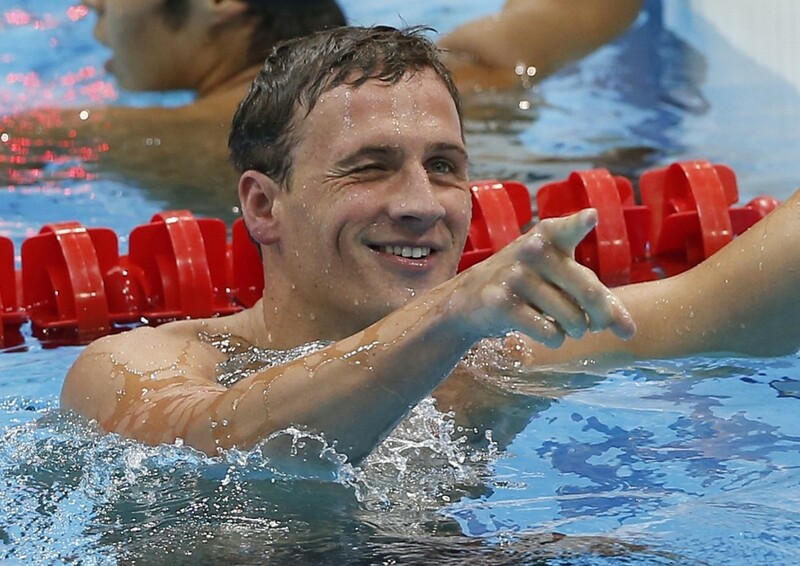 He is everything the Olympics isn’t. As was NBC’s decision to use this interview instead of staying with one of the few planned emotional moments that director Danny Boyle (who also had little competition) created for the London ceremonies. It makes one wonder whether the Olympic Gods actually decided to curse Phelps to fourth place and thus deny him a medal of any kind in his first race in London in retaliation. Certainly this is life in the real world when everything, including all of us, are on the chopping block for a price. But what the top 1% of the “job creators” need to know is that the changing platforms in world media will not allow them to gorge themselves with a diet of indulgent choices forever. At some point, there is an Arab spring for everything – a “tipping point” where audiences turn off and, as they used to say in the sixties, “turn on” in ways their elders never imagined. Ask the music industry. Check in with the production heads at film studios. Survey some of the smarter, more prescient business people in the world who make their money by inventing things and recognizing trends or potential needs. You might want to even call some of the leading climate scientists who were being laughed at 10 or 20 years ago if the recent rash of heat waves across the country haven’t knocked out your phone service. All of this is what makes the world a still somewhat pleasant, amusing and consistently wondrous place to live in. There is indeed something called evolution, despite the very vocal minority of worldwide religious fundamentalists who to this day spend a lot of their capital (both financial and intellectual) trying to deny it. Evolution is defined as “the development of something, especially from a simple to a more complex form.” What that means is that try as one group might to make choices for you that you don’t want, eventually that one group will overreach and the world will change enough and evolve to something more complex that will accommodate the majority. There is no timetable on this, as much as one wishes there were. 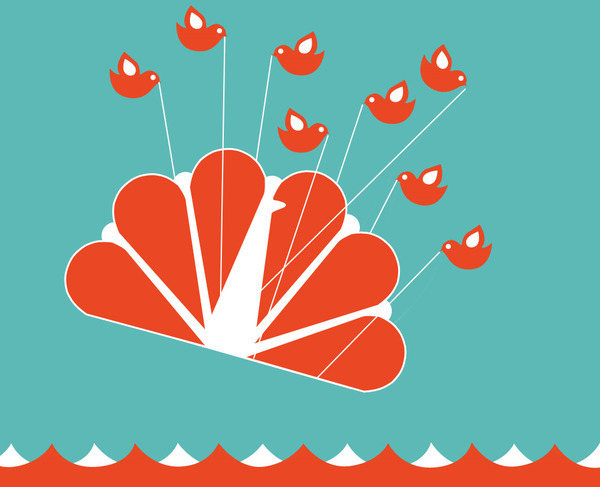 But it will happen as sure as Seacrest will manage to annoy me sometime in the very near future (try today). Because what it will come down to is a world that runs, and has always run on good old level-playing field, real competition – whether it be women’s volleyball, horse dressage or corporate indulgence (some might even go so far as to call it censorship) in any particular industry in any particular year. The wisest among us, both individual humans and the corporate kind, will take the lead of the most practiced Olympic athlete at their peak performance and prepare for the race that will inevitably come. 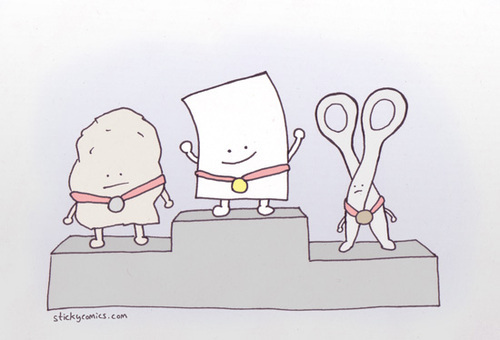 The competition is long but ultimately there can only be one real winner. Despite what we’re being sold. Or told. And both history, as well as evolution, have a way of making things right – or at least giving the least likely among us more of a fighting chance that we will run with.